Later this month will mark two years since we launched Treasure Data. As you can imagine with a young, successful company, we are rapidly evolving in all areas as we make it easier for our customers to use the cloud to grow their businesses with new kinds of big data. We recently gave our website and this blog a makeover, and we are rapidly developing our service as we grow our team and customer base across the borders. When we launched the company, we said we wanted to change the idea of big data analytics as something that required long, expensive, complex projects. We will be using this blog – and the rest of our new website – to do just that. You will be able to find posts from John Sheaffer, our director of sales engineering, about interesting ways customers use Treasure Data in the real world. 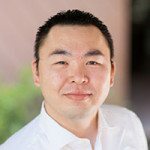 Kaz Ohta, our CTO, will explain our vision for where the Treasure Data Service is going. And I’ll break this down and cover what data-driven innovation can do for your business, whether you are one of our 100+ paying customers, one of the thousands of users of our free service, or one of the hundreds of thousands who want to know what big data can do for you. These are exciting times at Treasure Data and in the cloud and big data space in general. The shift to the cloud is changing things for companies large and small. We are fortunate to be on the beginning of the wave. Thanks for reading and check back soon for more.